Anything that Jack Black does, I have to see. Okay, well ‘Year One‘ was just awful. But aside from that. I enjoy Jack Black on so many levels. Have you seen him on Yo Gabba Gabba? Some of the best comedy I’ve ever seen. Seriously. Google it. 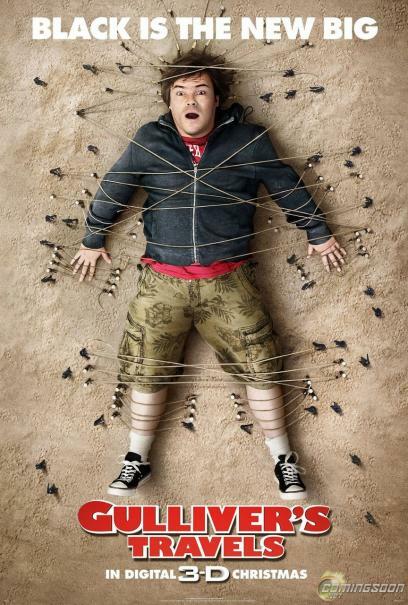 Jack’s latest flick is ‘Gulliver’s Travels‘ and it looks great.